We all get them from time to time. Some may only get then once in a blue moon. Others will get them more often. Some people may experience a slight discomfort, where other people experience debilitating pain. You may the asking yourself what these are. The answer is headaches. Sometimes the pain is mild enough when you take an over-the-counter medication, such as aspirin or ibuprofen, the pain goes away. However, sometimes medications do not work if the pain is severe enough, such as in migraine headaches. Some people do not like taking any kinds of medications. There are many natural things you can do to make that headache pain go away. 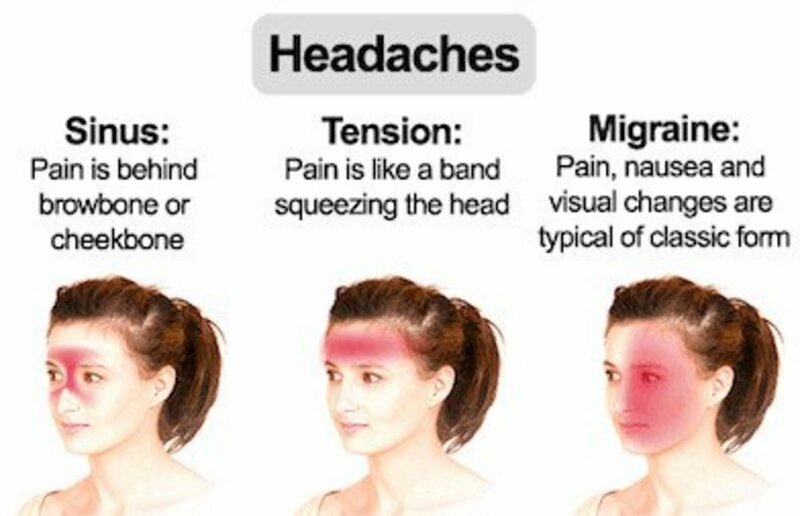 The types of headache we suffer from the most are known as tension headaches. These occur if we are under stress or are not getting enough sleep. Therefore, the best prescription for a tension headache is exercise. Even walking for thirty minutes will do wonders in relieving the tensions built up in your body. Do you ever notice that if you have a headache when you go to bed, the pain is gone when you wake up? When you have a headache it is like your brain is giving you a message that it is tired and needs some rest. Therefore, sleep is another prescription for a headache. Make sure that you are drinking plenty of water. If you are dehydrated, you may get a headache. Some people make the mistake of thinking that they should only drink something when they feel thirsty. By waiting until their mouth tells them that it is time to drink, their bodies may already be in the first stages of dehydration. A basic rule of thumb is to take a drink every ten minutes. This is especially true if the day is hot or if you are involved in a physical activity. Does your job involve working with fumes? Most likely you are breathing in gas fumes, chemicals and whatever is circulation throughout the building. Even if you work in an office, imagine how must dust and particles you breath in each day. When you are at home do you spend most of the time indoors at home playing games on the internet or watching movies on Netflix? Even if you do not spend all the time on the computer, but spend most of your time cleaning house, you are breathing in dust and cleaning chemicals. If you have a headache, go outside and breathe in some fresh air. Your headache might disappear without having to take any pain killers. When you are under stress, and your blood vessels are constricted. With reduced blood flow, you can get a headache. The next time you have a headache, put an ice bag on the part of the head that hurts. This will help relax your muscles and improve blood flow to your brain. If you are the type of person who skips meals or are not eating right, you can get a headache. This is your brain’s way of telling you to that you are not eating right. If you do not have a time to sit down for a meal (especially when it comes to breakfast, the most important meal of the day) grab a quick healthy snack such as a cereal bar or a piece of fruit. Then again, there are some foods that can trigger a headache. For example, food that contains monosodium glutamate and cheese can trigger a headache in some people. When you get a headache think about the food that you ate that day. Make a list and eliminate them from your diet for a week. Then reintroduce them one at a time. You should be able to catch your culprit using this method. Taking deep breaths will help relieve headache pain. While doing this will help you relax your muscles, you will enrich your blood and brain with extra oxygen. As already mentioned, many headaches are caused by stress and tension. You may not realize what your body is doing; however, when you are under stress, the muscles and tendons in your body can become tightened, especially in the neck and shoulder area. It does not even have to be a stressful situation that can cause your muscles and tendons to be tightened. It can even include working out in the gym. Any situation that causes your muscles and tendons to be tightened in your neck and shoulders can bring on a stress or tension headache. Most people get these headaches at least once in a while. However, some get these more often. If you are the type of person who get these at least once a week and do not like taking prescription or over-the-counter medications, there are natural remedies that you can try to help make these headaches go away. Eye strain is a major cause of stress and tension headaches. We live in a technological society. Many people use computers at work and the home. You may be the person who sits in front of a computer for eight or more hours looking at the company’s progress, reading and replying to emails, using a phone to send text messages to the boss and then so on. Then you go home to do some leisure time by watching television, playing games on the computer or reading a book on your kindle. This daily activity, not only put strain on your, neck and shoulders, but also puts a large amount of strain on your optic nerves and can result in a headache. The best remedy for this is for every hour you are looking at a computer screen or using a handheld device is to take a five to ten minute break. This gives your eyes a chance to relax. Plus if you work behind closed doors, open up a window so you can have some fresh air. 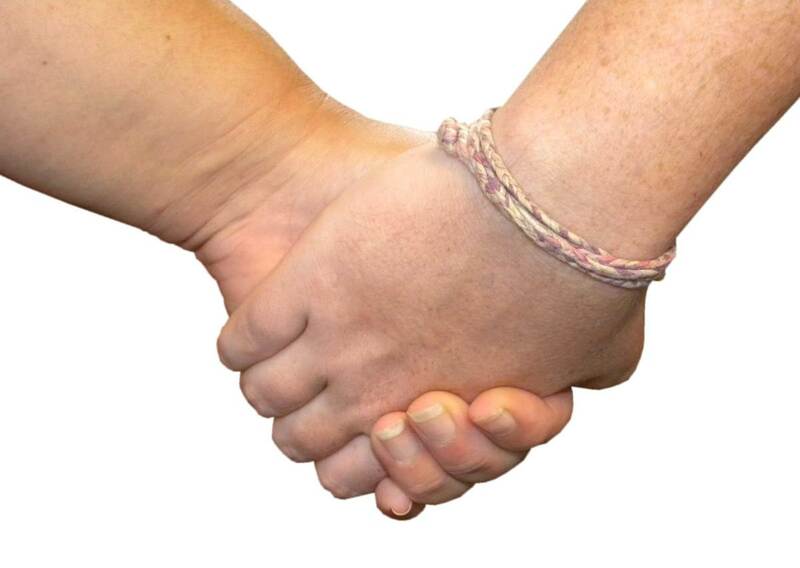 Another way to relax your eyes is to rub your hands together until they get warm. Close your eyes and place the palms over them for one to two minutes. Doing this helps your eyes recover from strain and helps prevent headaches. We do live in a stressful society. Whether it is at work, at home or with people you are involved with throughout life, you are always going to have deadlines to meet. This can be stressful if you have a daily schedule filled with activities. To make the best of each day, make a list of which activities are the highest priority. Work on getting these activities completed before working on the lower priority activities. There are many herbs that you can use to help you get rid of that headache pain. If you are not familiar with herbs, look for ones that contain anti-inflammatory and calming properties. In my opinion, I have listed several below that will help you with your headache pain. Feverfew contains anti-inflammatory properties. You can purchase this in a capsule form at most health food stores. Peppermint is an excellent pain reliever. You can purchase it as a tea. Peppermint also can be purchased as an essential oil. Using this to massage your temple does wonders reliving headache pain. Passion flower contains calming properties. If your headaches come from stress and anxiety, this is the herb for you. 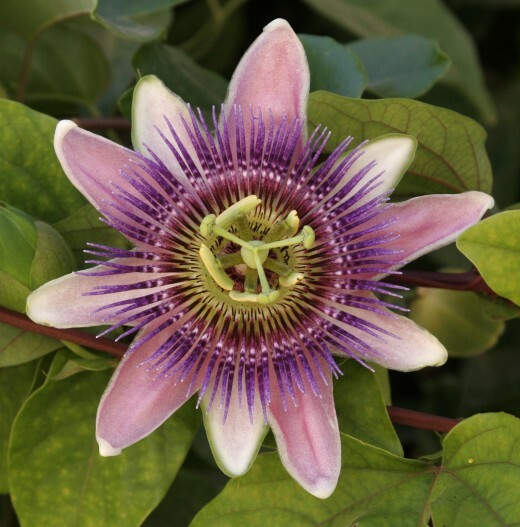 Passion flower also contains anti-inflammatory properties, making it a natural pain killer. Some headaches occur when there is restricted blood flow in the vessels. The headache occurs because not enough oxygen is reaching the brain. Ginko improves the blood flow throughout your circulatory system. While this does not have pain-killing properties, including it in your daily diet may prevent you from getting a headache. Meadowsweet is a natural pain killer. It is effective in treating headache pain. Most health food stores sell this as herbs and liquid extracts. Valerian Root contains sedative properties. This herb is also excellent if you suffer from stress, anxiety and insomnia. You can purchase this at most health food stores as capsules, liquid extracts and powdered extracts. Chamomile contains relaxing properties. You can easily purchase chamomile teas at most grocery stores. White willow is known as “nature’s aspirin” and is an excellent pain reliever. Many health food stores sell this as teas, extracts and tinctures. Before you start any herbal program, talk to your doctor. Even though the above herbs are safe to use, they may interact with other medications or supplements that you may be taking. While these natural remedies will help in relieving most headache pain, talk to your doctor if the pain does not go away or if the headaches keep coming back. Avoid feverfew if you are pregnant or nursing of if you are allergic to ragweed, chamomile or yarrow or if you suffer from insomnia. Do not give meadowsweet to children. Do not take it if you are allergic to aspirin. If you suffer from asthma do not take it. Do not take it if you are on blood thinners. Do not use it if you are pregnant or nursing. Talk to your doctor if you are already taking medications that help you sleep, anti-depressants, muscle relaxers. Do not take passion flower if you are driving or operating heavy equipment. If using passion flower as a extract or tincture, start out by using ten drops at a time (.o more than three times daily). Do not give to children. Do not use essential oils for internal use. Most are meant to be for external use and can be fatal if consumed. If you operate heavy equipment, start out with a smaller dosage of Valerian Root.. If you are pregnant or nursing, avoid using it. Do not drink alcoholic beverages. Stop taking it at least a week before you have surgery.. Stop taking if you develop hives or have difficulty breathing. However, while it will not upset your stomach like aspirin does in some people, do not take this if you are pregnant and do not give it to children who are under two years old. Used in many Middle Eastern foods, turmeric is a orange-yellow spice that gives flavor and color to many casseroles, stews and soups. The main spice in curry, you may have used this spice in cooking at least once. In addition to adding flavor to many meals, this spice has been recognized for its numerous medicinal properties. Along with all these benefits, turmeric is also a natural pain reliever because this spice has anti-inflammatory properties. These properties play a major role in reducing pain and inflammation. You can find headache pain relief whether it is from allergies, inflammation, sinus infections and tightness in the neck and shoulders when you are tense or under stress by including this spice to handle your pain. It has been used since the ancient Egyptian times for one sort of ailment or another, long before modern medicine was even thought of. One of the active ingredients found in aspirin is salicylic acid. This pain fighting acid is also found in turmeric. While some people may get bleeding internal ulcers from taking aspirin, this side effect is not caused by turmeric or other Indian spices such as ginger, cumin and paprika-which are just as effective pain relievers. The recommended dosage for pain is 400 milligrams up to three times a day. You can use ground turmeric which you can find in the spice aisle at your local grocery food store. 400 milligrams would be equal to about a third of a teaspoon. You can also purchase turmeric as supplements and extracts at your local health food store. Read the instructions on how much you need to take. While turmeric is safe, avoid using if you are pregnant. This spice is known to stimulate menstruation. Also avoid this spice if you are suffering from gallbladder disease, it may aggravate this organ. Since this is a natural blood thinner, do not take turmeric right after you have surgery done. If you are already on blood thinners, talk to your doctor before using this spice. It is always a good idea to talk to your doctor before your start any herbal remedy. Some herbs may interact with medications and supplements that you may be already taking. The cultivation of jujube fruit dates back to 9000 B.C. Considered to be Chinese and Korean traditional medicine, this fruit is native to countries such as Pakistan, India, Lebanon, China, Korean and Europe. The tree needs both hot summer and enough rainfall for it to produce fruit. Since there are over four hundred species of the jujube fruit, some species can survive in colder temperatures and can grow in mountainous regions. Others can grow in dry regions, such as deserts as long as there is a large enough underground water supply. 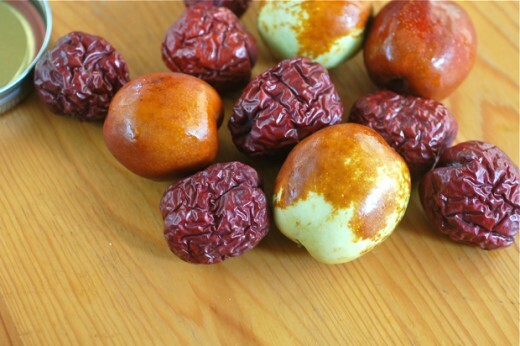 With so many different species of jujube fruits, they can be grown in most regions of the world. Stress, anxiety and insomnia are all three main causes of stress and tension headaches. Jujube fruit contains calming properties. This fruit is very beneficial for people who suffer from anxiety, stress and insomnia. When you eat this fruit to alleviate stress, it not only helps with tension headaches, it also helps your heart at the same time. When you have high levels of bad cholesterol in your bloodstream, your arteries get clogged up with fatty buildup. This causes high blood pressure, because your heart has to work faster to move the blood through the arteries. This in turn can lead to a heart attack or stroke. Jujube fruit can reduce the amount of bad cholesterol. Therefore, it also can reduce the chances of getting a heart attack or stroke. Taking it will also speed up your metabolism. When your metabolism is increased, more fat will be burned. Jujube fruit also helps fight against fatigue. If you work long hours or on shifts you are going to feel tired once in a while. You may be the type of individual who is constantly tired. This can also be a cause of stress and tension headaches. The amino acids in this fruit as well as the enzymes and potassium will help raise your energy levels. Massages are an excellent way to remove tensions from your body. Many towns have at least one massage parlor. They may go by names such as massage therapy or massage healing. It is a good idea to research the ones in your area to see which are the most reputable. However, going to the massage parlor may not always work especially if you need to get one in the middle of your work day. However, while massages are worth a fortune, they can also cost a fortune. If you are on a tight budget and are unable to go to a reputable massage parlor because of financial reasons, there are things you can do yourself. With headache pain relief, some massage deals with using pressure points to relieve the pain. This is known as acupressure which “is an ancient healing art using the fingers to gradually press key healing points, which stimulate the body's natural self-curative abilities” (acupressure). This is a very effective practice and has been used by Asians for over 5,000 years. The website, acupressure.com has many resources such as charts, DVDs, books, and more that you can purchase for your own self treatment. You can also find many of these resources at your local public library. Purchase a handheld vibrating massager at your local pharmacy or Wal-Mart. Run it on the back of your neck to help release tension. Vibrating neck pillows work wonders as well by relaxing the neck and shoulders. You can purchase these as teas or add the herbs to a cup of water and allow them to brew for at least fifteen minutes. Some people may be allergic to cohosh. Before using it, test a small area of the skin. If your skin gets red or breaks out, do not use this herb. Some side effects may include upset stomachs, headaches and weight gain. Do not take cohosh if you are pregnant or nursing. Do not consume any butterbar products if you are pregnant or nursing. If you have a history of liver or kidney disease, look for butterbar products that are pyrrolizdine free. This chemical is known to cause liver and kidney damage. Avoid butterbar products if you suffer from asthma. Only use eucalyptus for external healing. If you are allergic to poison ivy, avoid ginkgo biloba. If you are on blood thinners or have hemophilia, avoid ginkgo biloba. Stop taking this herb two weeks before you have any surgical procedures done. If you take insulin or any other anti-diabetic medications, do not take ginkgo at the same time. It can interact with these medications if you take them at the same time. Avoid if you are pregnant or nursing or if you are going to be driving or operating around machinery. Avoid St. John's Wort if you are trying to conceive, pregnant or nursing. Do not take it if you have high blood pressure. This herb may interact with medications that you are already taking. Always see your doctor, if you keep getting headaches. He might have to check out your eyes back, shoulders and neck. 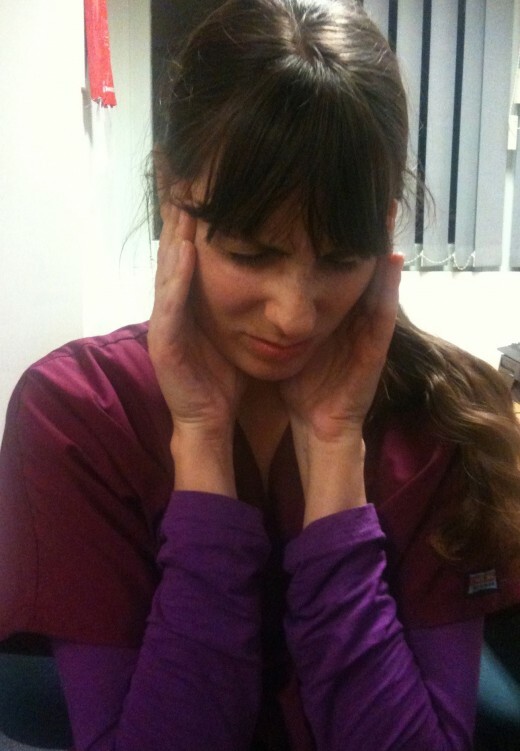 There may be another reason, rather than stress or tension which is causing your headaches. Once he rules out stress and tension, he may be able to provide you with a treatment. If you use any type of herbal treatment, you doctor will need to know since certain herbs and medications will interact with each other. Learn more about jujubes nutrition facts, health benefits, healthy recipes, and other fun facts to enrich your diet. Ideal Turmeric Dosage - How Much Turmeric Can You Take in a Day? Headaches are not all the same. While some home remedies can be used on sinus, migraine and cluster headaches, some of these headaches need a specific treatment.